Serve our marinated honey and lemongrass chicken recipe over rice, perhaps adding snow peas, broccoli or another favourite green vegetable on the side. Actually steamed or sauteed greens with a little garlic and soy sauce would go well alongside this. Marinating the chicken overnight is best, but if you don't have time then give it at least a couple of hours. This is delicious cooked over a charcoal grill, in which case it will take about 5 minutes per side. If you prefer, bake it in a 225 degrees C oven for 20 minutes. 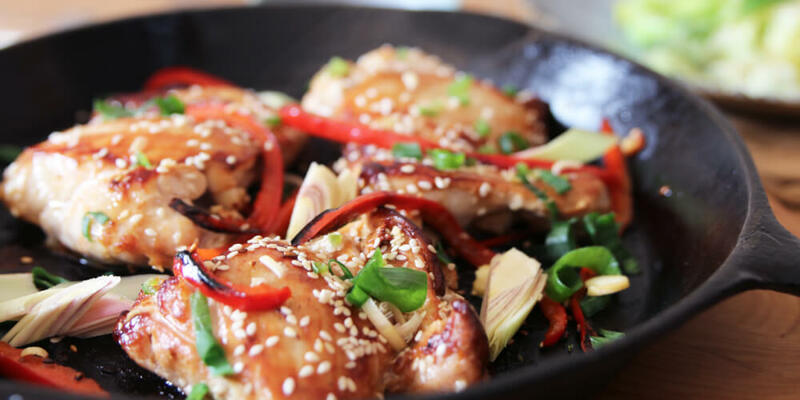 The lemongrass, garlic, honey and fish sauce give the chicken an amazing exotic flavour, and this is an unusual recipe which is really easy to rustle up for an easy weeknight meal. 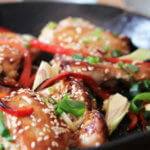 The contrast of the sweet honey, aromatic lemongrass, flavourful garlic and bold-tasting fish sauce works really well. Chicken breast has a neutral flavour so this marinade adds plenty of great taste, and you're using fresh garlic and lemongrass so the end flavour is going to be really nice and fresh. Throw in some minced red chilli pepper if you want to add even more spice to the dish. A little goes a long way. 1. Use a microplane or grater to grate the lemongrass. 2. Mince the garlic too, then rub the lemongrass and garlic over the chicken. 3. Put the chicken breast in a glass dish or Ziploc bag. 4. Add the honey, fish sauce, oil and pepper. 5. Mix well and marinate for at least 2 hours. 6. Now pop the chicken on the grill, barbecue or in the oven and cook until no longer pink.